All updates to the site and latest news is sent out by email. to access information relating to individual classes. from you club instructor or by requesting by email HERE. Click your club for access to your student's page. The 2014 Commonwealth Taekwondo Championships in Edinburgh was the biggest & most successful taekwondo event ever held in Scotland. 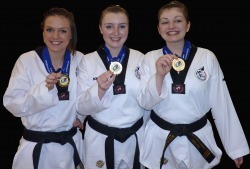 We had 3 club members competing as part of The Scottish National Team: Jennifer McKenna, Dianne Ward & Anes Salmi. Many of the Sokcho Taekwondo members were also volunteers and helped to make it a huge success. Congratulations to our athletes as team members and well done & thank you to our volunteers. 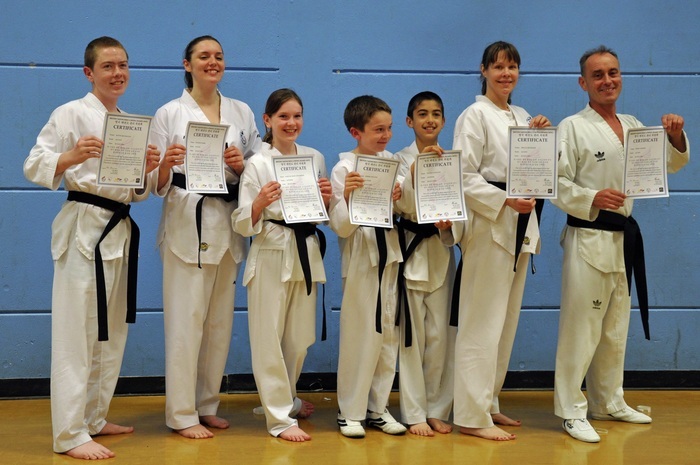 100th British Taekwondo Dan Grading held in Mansfield on 1st & 2nd November 2014.
for a black belt of any level and for that alone they should be congratulated. Next year's candidates should use these people as an example. Well done! 1st Poom - Balqis Abd Razak, Abbie Fox. for their contribution to British Taekwondo. Vice Chair of the Glasgow Commonwealth Games Organising Committee. 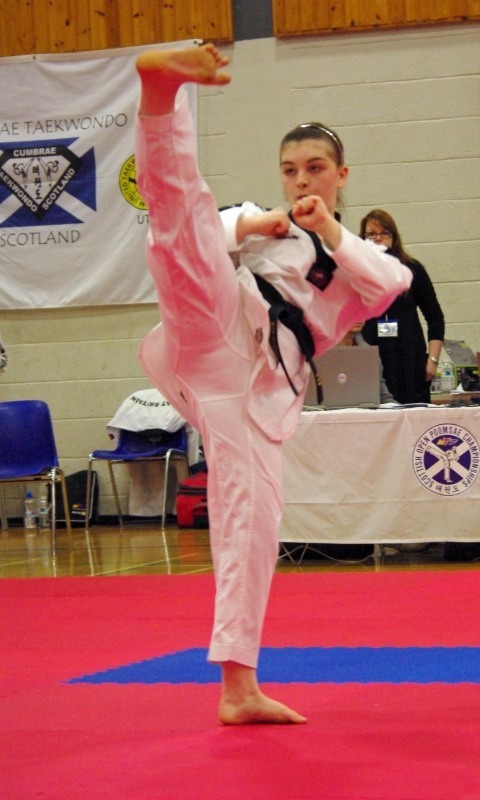 The Commonwealth Taekwondo Championships will take place on 15 & 16th of November 2014 in Meadowbank Stadium Arena. and should contact their instructor to put their name forward. The next National Team Development Squad Session will take place on Saturday 19th & Sunday 20th July. We have a fundraising page on the easyfundraising web site. download the reminder bar for your browser. It's free and the retailer donates funds to our club everytime you shop online. Before online shopping on sites like Amazon, Tesco, National Lottery, John Lewis, Argos, etc you visit easyfundraising.org.uk who register your visit and then donate money to the club. It costs you nothing and gives much needed funds to the club. The Sokcho Club funds are registered under "Rutherglen Taekwondo Club"
and taekwondo displays by National Teams. The following events are taking place in February and are open to ALL Sokcho Taekwondo members. We encourage all members to attend and support the National Governing Body. Please make a note of the dates and speak to your instructor to reserve a place. 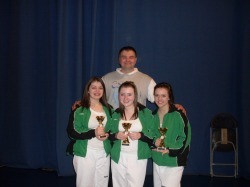 1) 3rd taekwondoscotland Awards Evening. Saturday 15th February 2014. Best Western Park Hotel, Falkirk. 2) Annual Scottish Taekwondo Seminar. Our Tuesday class will now be in St. Columbkille's Primary School, 5 Clincarthill Road, Rutherglen, Glasgow, G73 2LG. The Rutherglen & Holyrood class format for 2014 has changed. The 3 classes per week will alternate over a 4 class cycle to incorporate a broader range of taekwondo training. 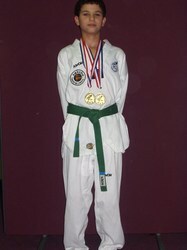 Class 1: Poomsae & Traditional. Class 3: Step Sparring & Self Defence. Class 4: Strength, conditioning, fitness & flexibility. The class schedule for January & February has been published. Log into the Student Page and download the schedule. A National Foundation Session has been arranged for Saturday 30th November 2013. This session is open to all regardless of age, grade and sparring experience. Please remember licence book and any protective equipment. The next NTDS & Elite Squad session is 7th & 8th December. Keep up to date on all Scotland National Team Sessions at the NTDS Page. 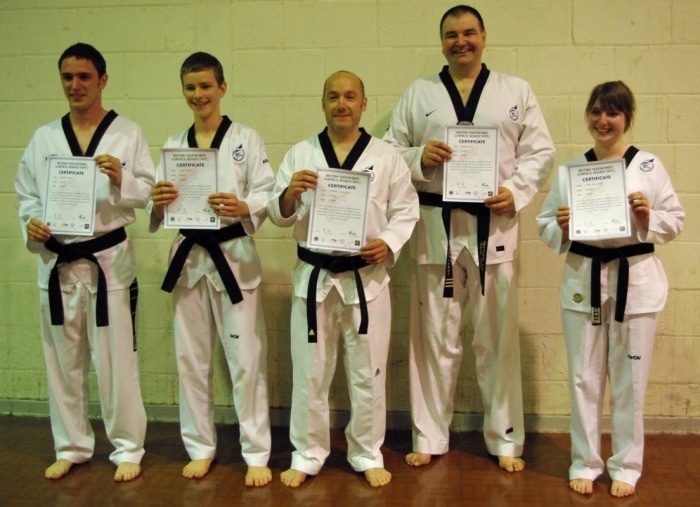 Following the 97th British Taekwondo Black Belt Grading held on 24th & 25th August 2013; we are extremely proud to announce that instructors Kirsteen Prior & Garry Petrie have been promoted to the rank of 5th Dan Master. Congratulations Master Prior & Master Petrie. Lewis Hanley 1st Poom & Daniel Gallagher 1st Poom. Congratulations! A great display by Sokcho Taekwondo students. No rehearsals and no practice for the display, but everyone puts on a show. 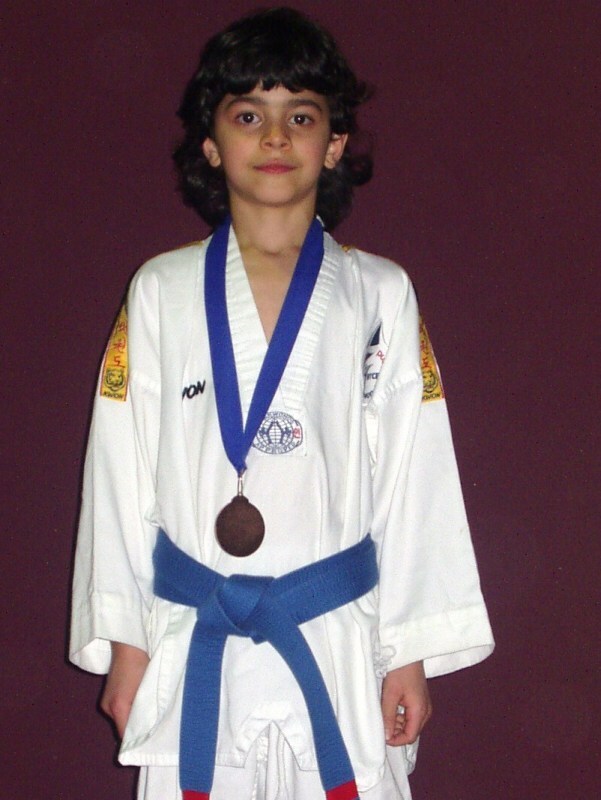 You are a credit to the club and the martial art. Well done! Photos will be posted in the Gallery page soon. Photos & Videos now on the Gallery Page. Many thanks to each & every student who attended the self defence seminar. This was the biggest ever attendance from Sokcho clubs at a single event. We hope you enjoyed it and recommend the next one to anyone that didn't attend. A follow up seminar dealing with weapon defence & groundwork is in the planning. conducted the largest seminar ever held in Scotland on 16th February. Over 300 students attended the sessions. Many thanks to the Sokcho students who attended!! 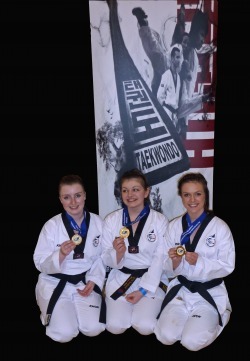 3 Sokcho students were recipients of awards at The Scotland National Team Awards Night. 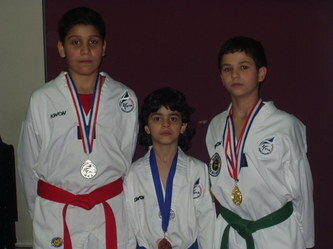 Congratulations to Jennifer, Youcef & Adam. Saturday 16th February at Grangemouth Sports Complex. OFFICIAL Scotland National Team Awards night. Please ask your instructor for details! 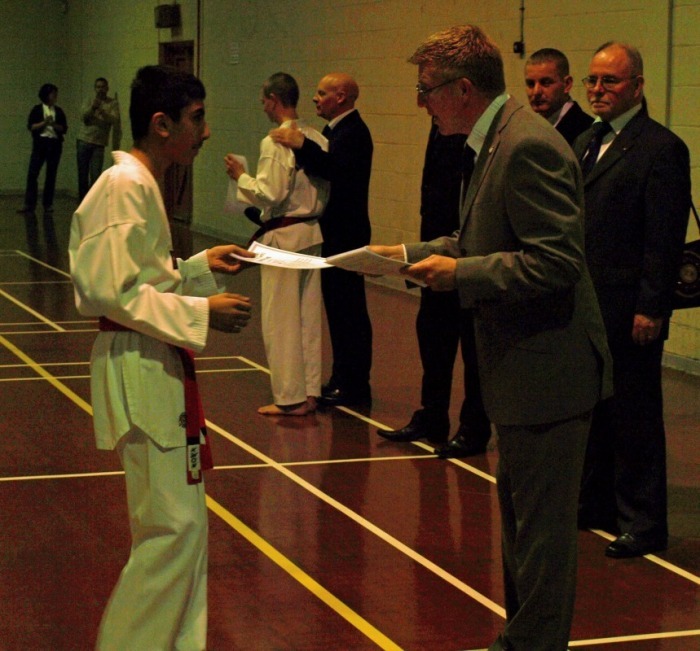 The 94th British Taekwondo Dan Grading was held in Hamilton on the 25th & 26th August. Congratulations to all of our newly promoted students. Every candidate gave a great performance. Many thanks for every student (& parent) who turned up to support the club at the Pollok Park Family Day display. We appreciate your efforts in promoting the club and taekwondo by teaching the public about taekwondo. Approximately 30 students participated and considering we had no rehersal; performed brilliantly in front of hundreds. You can see some on our Facebook page HERE. The latest Foundation and Development Squad session details can be found on the taekwondoscotland web site. 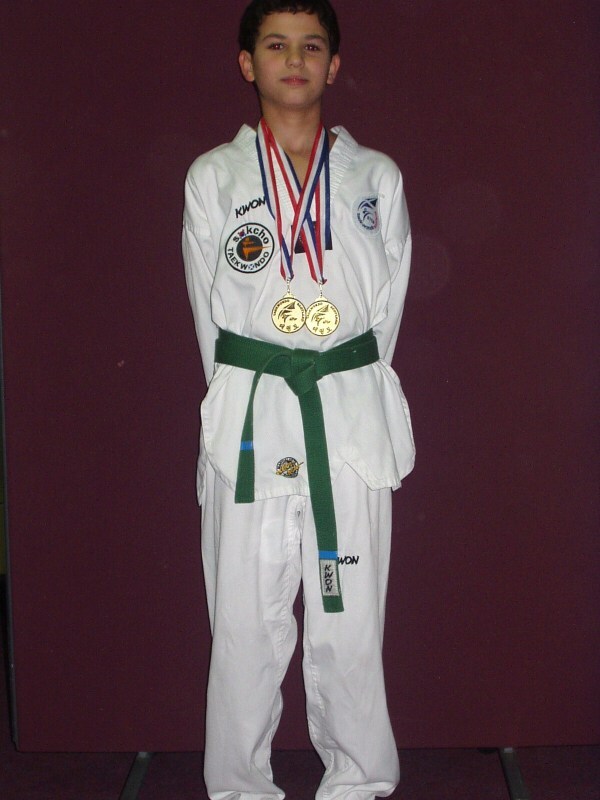 The list gives the only brands of protectors that can be worn in WTF Taekwondo competitions within the UK. Please do not buy any other brand as they will not be allowed in competition. The final training sessions of 2011 will take place on 10th & 11th december. An open training session (Foundation Level) will take place on Sunday 11th December 10am -12pm at Tamfourhill Community Centre, Falkirk. All students are welcome and encouraged to attend this session. The National Team Development Squad sessions will take place: 10th December, 12 - 3pm, University of the West of Scotland, Almada St. Hamilton. & Sunday 11th December 12 - 3pm, Tamfourhill Community Centre Falkirk. 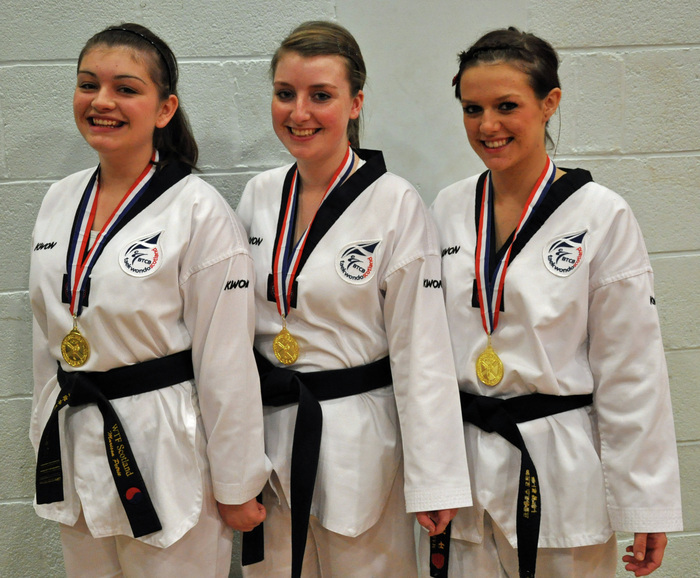 And bronze (Individua) & silver (Team) at the Scottish Poomsae Championships. 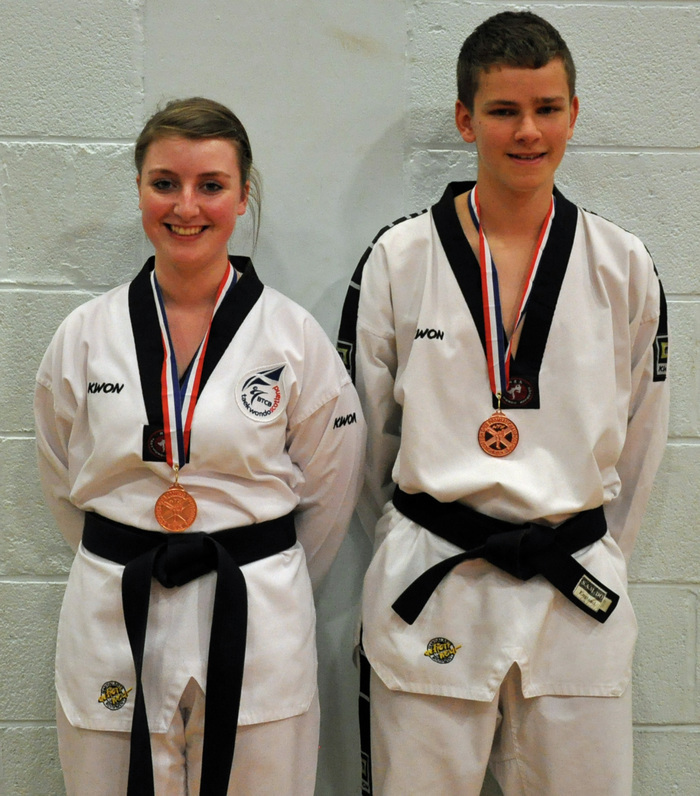 Well done to Aaron and Ciara who also competed in the individual poomsae sections. Photos from both events are now on the Gallery page. *Cumbrae Taekwondo Training Day and *National & International Competitions. * The Rutherglen & Holyrood class schedule for Sept / Oct has been published and can be seen on the above students page. * All students are encouraged to attend the National Team Poomsae & Kyorugi Foundation sessions which are open to all ages & grades. 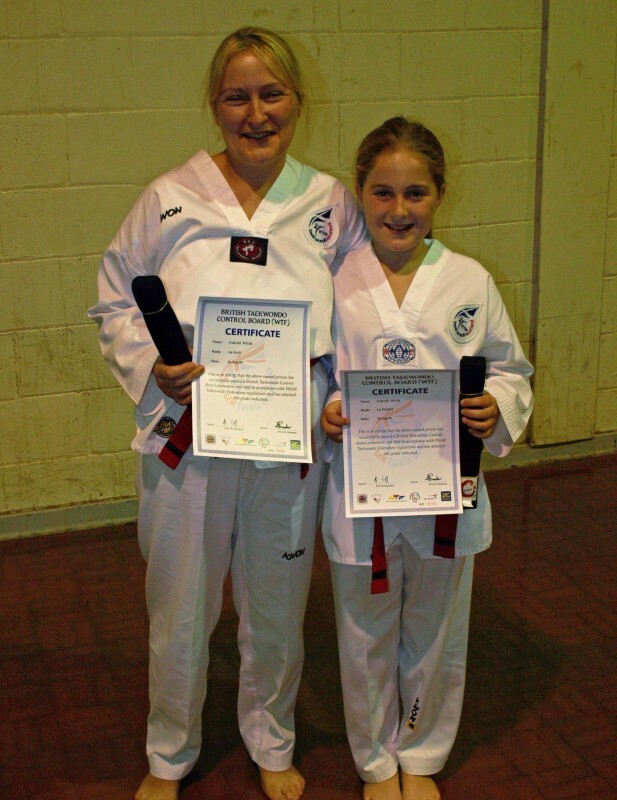 The female sessions are also open to females of all ages and grades. The NT Development sessions are open only to invited Cadets, Juniors & Seniors. 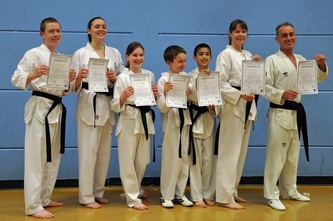 Congratulations to all Students successful in The 91st BTCB black belt grading. 27th & 28th August. And many thanks to all students who attended and supported the technical sessions. We once again had a 100% pass rate for Sokcho students. 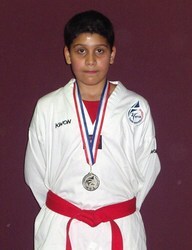 A special congratulations to our new Master grade Zahid Hussain Salim 5th Dan! The Sokcho clubs performed a display at this event for the 20th year in succession. We have probably shown Taekwondo to over 20,000 people during this time at Pollok Park alone! Many thanks to all students who attended and played their own very important part in this year's display and promoting Taekwondo to the public. 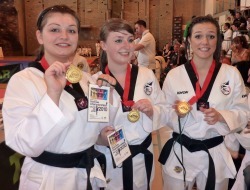 Marissa Petrie took the Gold at The Chi Open Championships, Spennymoor, County Durham on 17/07/2011. Beating the 2010 British Champion in the final. A match report and photos have been posted in the Gallery Some videos will be posted soon. Please be aware which class is scheduled and bring any protective equipment for Sport classes. 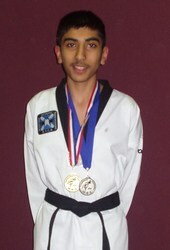 2011 Northern Ireland Poomsae Championships on 11th June in Belfast. Olympic Taekwondo Centre, New Ferry, Merseyside on 4th June 2011. Go to your club's secure students page above to view details. 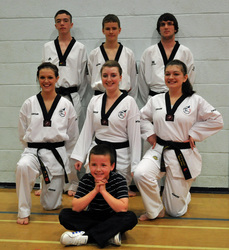 Master Pete Adamsons (Scorpion Taekwondo) held a kyorugi training session at UWS on Saturday 16th April '11. Thanks to all Sokcho students that attended. 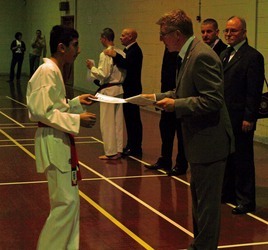 17/04/11 Congratulations to MASTER Edward Tyrrell - 5th Dan!! taekwondoscotland have announced important changes to the sport taekwondo (performance sector) of the governing body. Photos of the Sokcho students at the Commonwealth Taekwondo Championships in India have now been posted. 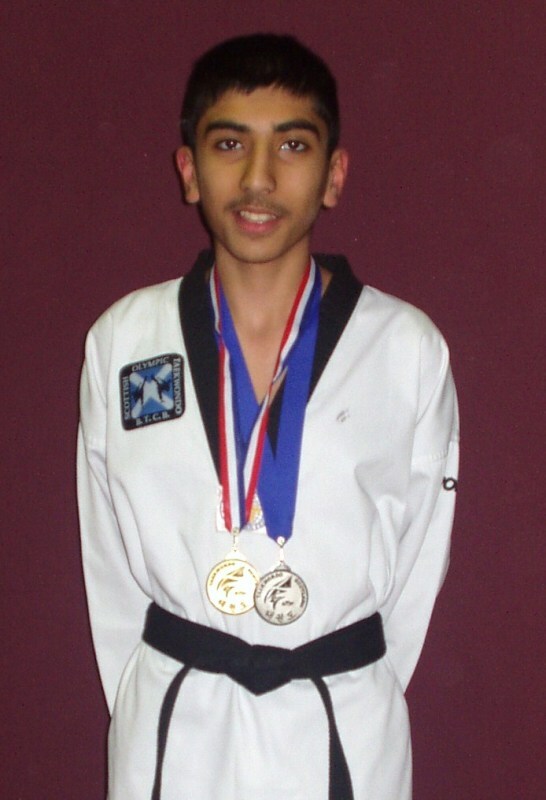 have won the silver medal, representing Scotland at the Commonwealth Taekwondo Championships in Chennai, India on 28th January 2011. 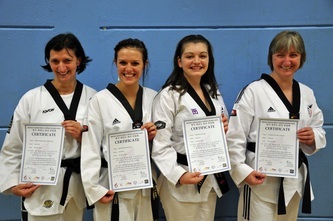 MANY CONGRATULATIONS from everyone at the club and TaekwondoScotland for this major acheivement. Jennifer, Marissa & Ciara would like to thank everyone at Sokcho for all your support through sponsorship and generous donations. Commonwealth Taekwondo Championships in Chennai, India this coming weekend. 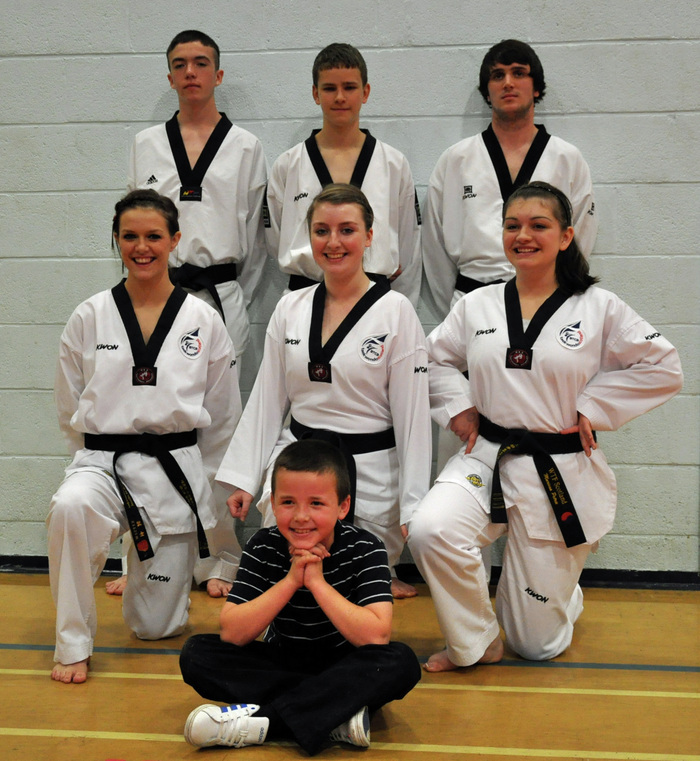 Congratulations to all 7 Sokcho students who took part in the 2nd Scottish Open Poomse Championships in Grangemouth. The "A" Class girls team of Marissa Petrie, Ciara McCarthy & Jennifer McKenna confirmed their status as the country's top team by winning Gold. They now go on to represent Scotland at the Commonwealth Championships in India in January 2011. Ciara McCarthy & Aaron Smith took 3rd place in the Junior Pairs section. Well done also to Jack Cooke, Kevin Hold & Martin Craig who all performed to a very high standard in their 1st ever patterns competition! Check out the VIDEOS PAGE for the latest video of a world class display team who match & at times surpass The Korean Tigers. Many Congratulations to all 11 Sokcho Taekwondo Students in passing their respective Black Belt Gradings. Anyone wanting a photo pack of the full weekend Workshop & Gradings Please bring a memory stick to the class to get them downloaded. with Jennifer also winning the individual gold. Congratulations to Marissa Petrie, Jennifer McKenna & Ciara McCarthy. Congratulations to the Sokcho medal winning students from Jamiat who travelled to Elgin for the 1st Focus Cup on Sunday 1/11/2009. Click the pictures for full size images. The 2009 Scottish Open Poomse (patterns) Championships on 4/10/2009. All three gave a great performance in representing our club in the biggest division of the day with Jennifer making the final. Click the pictures to view the full size image. 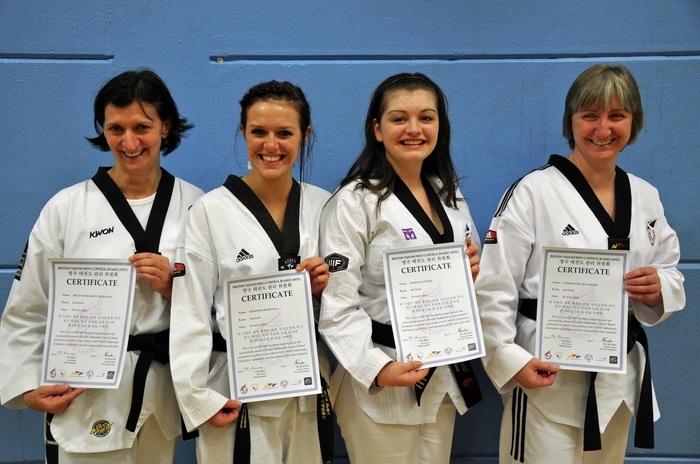 An updated kup grade syllabus has been compiled and approved by all club instructors. This will come into effect from 1st October 2009 for all Sokcho students. The new updated syllabus can be downloaded here or from the Technical page.